To avoid this problem, I used to make a backup of my latest code, delete all commits and push my new code. If I only knew about squash earlier (no, not the fruit). Why don’t we “squash” these commits into 1? 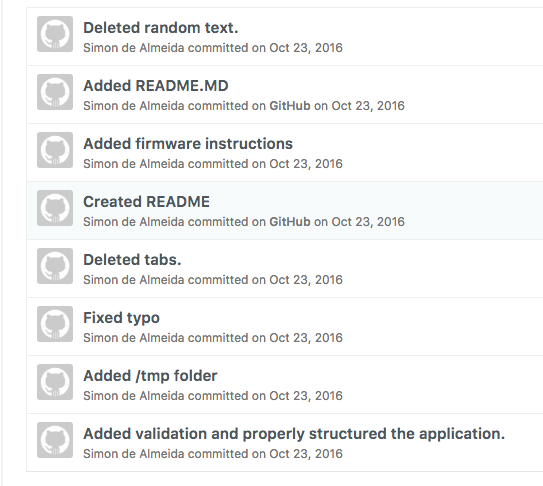 Looking at my logs (git log) I see that I made 16 commits (Jeez). 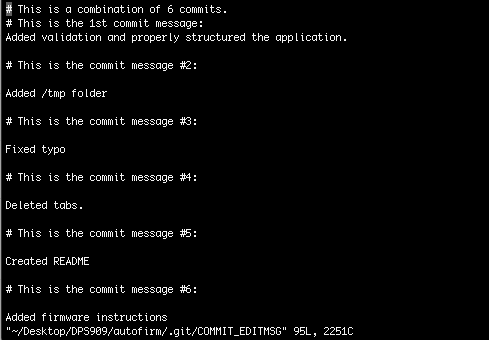 This will show all 16 previous commits on my current branch (master). 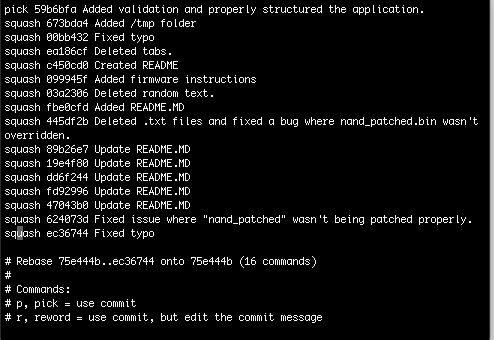 Lets pick the first commit (SHA: 59b6bfa) and squash the rest (change pick to squash). Save and quit (Since I use vi, type :wq to save and close the current file). 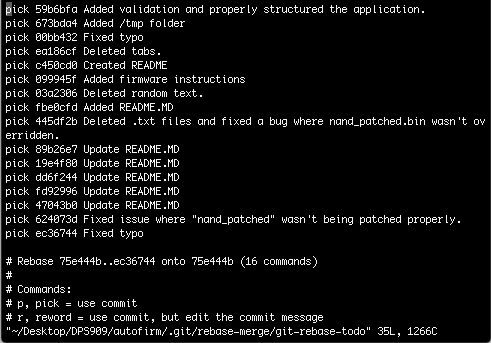 Git will now give us a second change of being able to change the commit messages (incase you didn’t like them before). 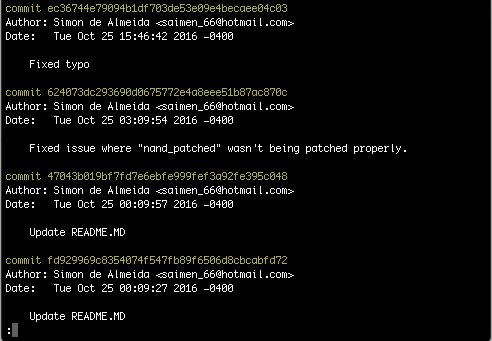 In this case, I was happy with the previous commit messages and I didn’t want to change them. 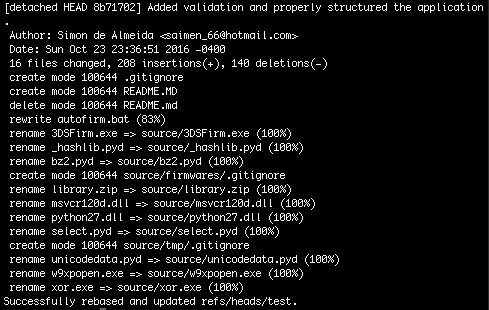 Save and quit (Again, with vi is :wq) and you should see that the commits have been combined.